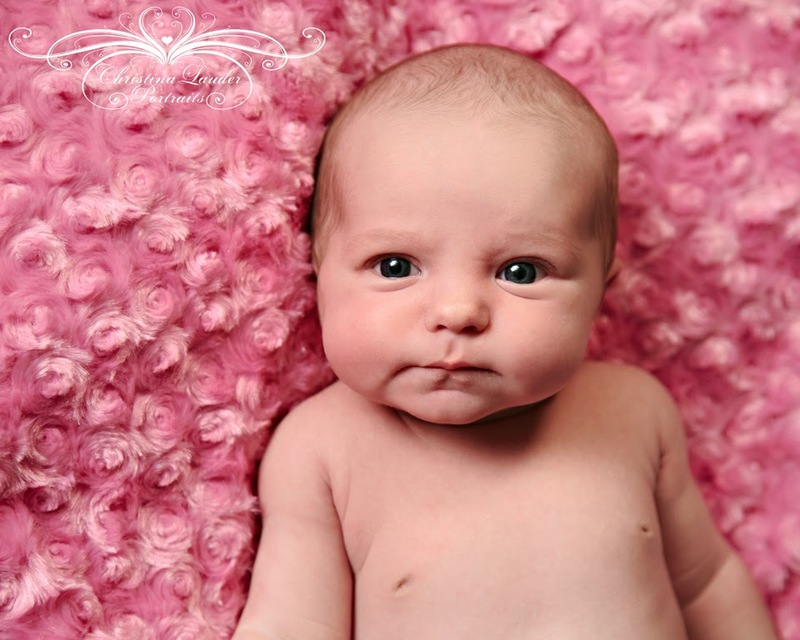 This time we worked with a more alert baby, even though she was within the 2 weeks we recommend for newborn sessions. But to be honest, I do like getting a selection of both. Its nice to get the chance to see their eyes as well as those beautifully peaceful sleeping portraits. Making eye contact is just difficult and smiles are nearly impossible, which are only wind related if we managed them at all anyway. 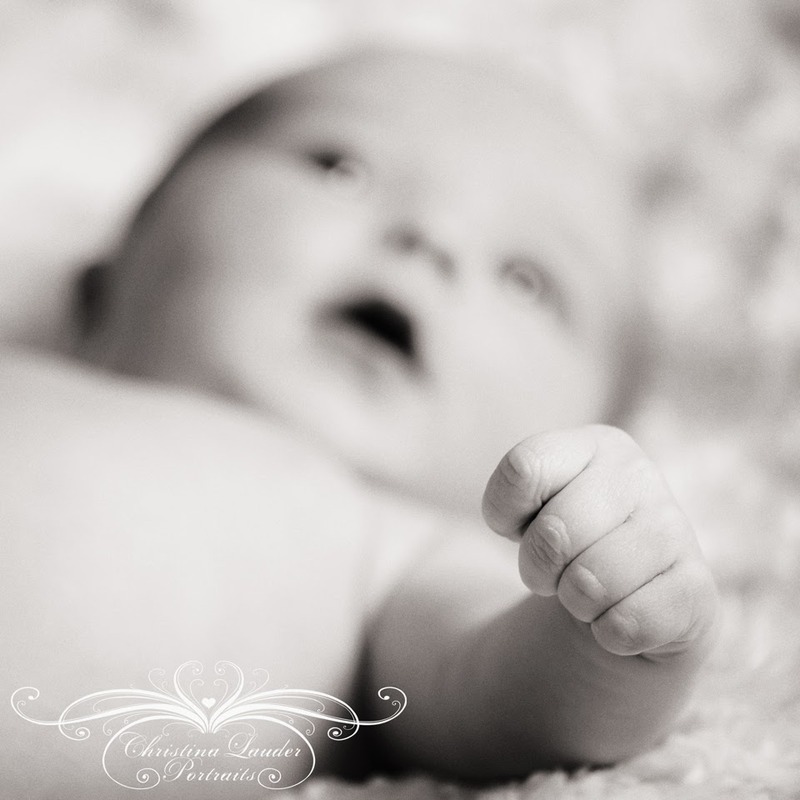 I always try to get a few detail shots in order to capture their tiny little fingers and toes. 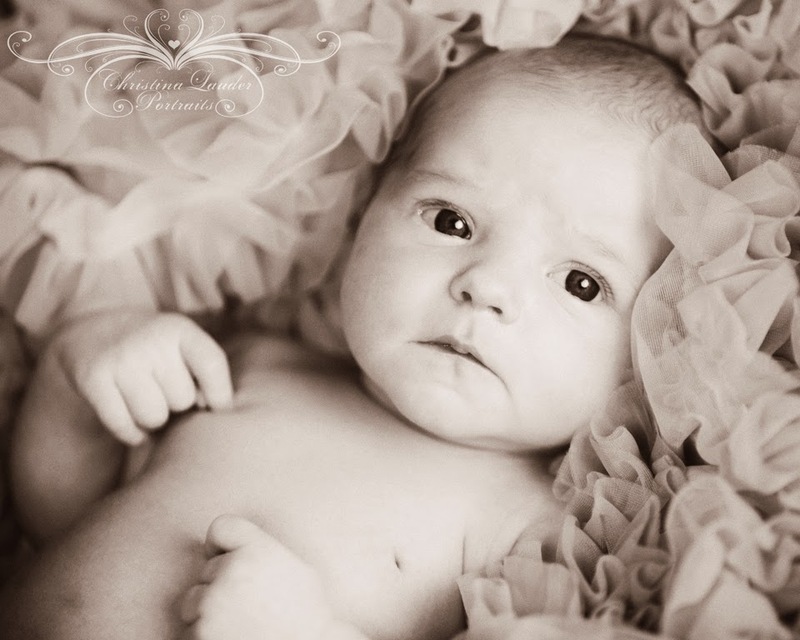 These can be quite difficult with an awake baby as they move so much and I need to rely on autofocus to make sure these details are in focus and with such a narrow depth of field this can be difficult. And rather than just a hand or a foot I like to get some of baby's face in the shot as well which poses another problem with an awake baby, they just don't stay still for very long so their hands and feet aren't always in the right place. 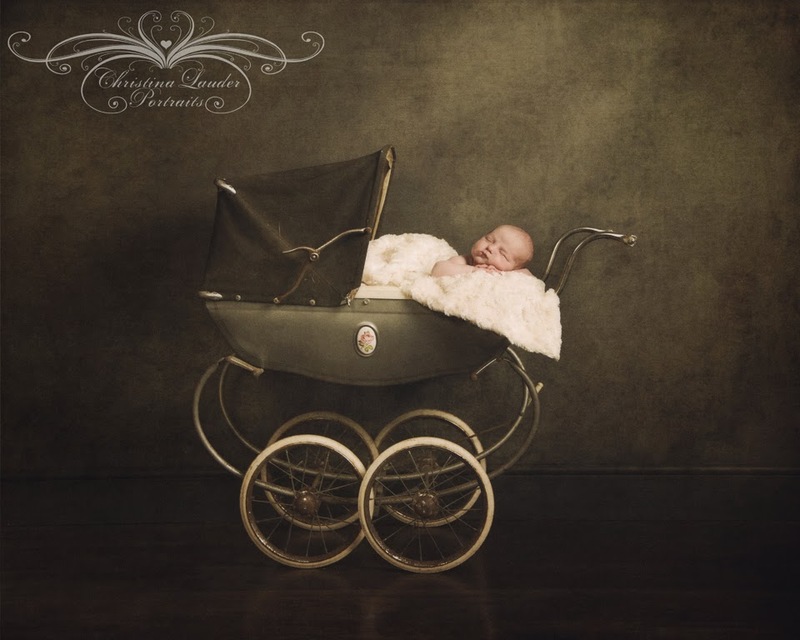 This pram portrait is proving popular with my clients. I have to admit its one of my favourites. I love the whole look and feel and I thoroughly enjoy seeing the transformation in computer. This is one of those images that looks very different straight out of camera and its where I get to be creative in a different way. Its really very enjoyable and one of my favourite parts of what I do. 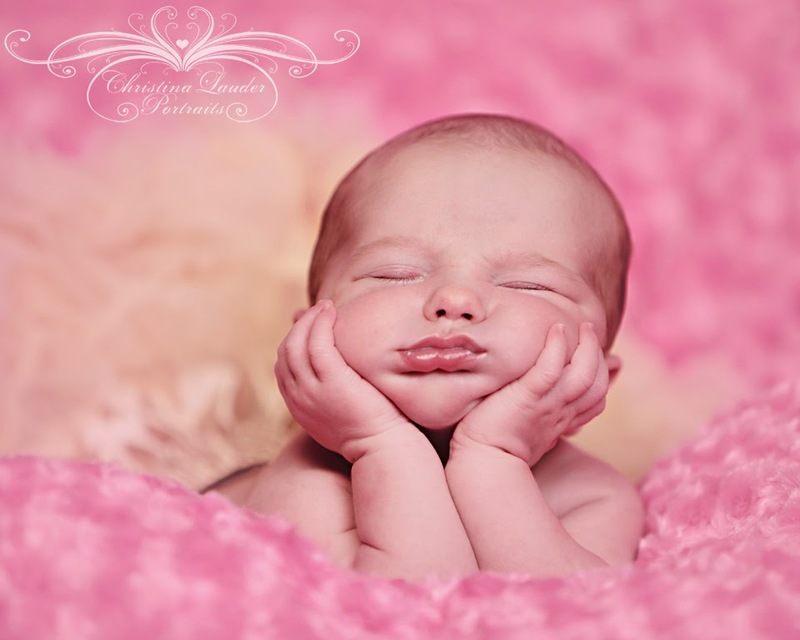 I also love doing this type of image, with the baby resting on their elbows. Its a bit of a stressful pose and definitely requires a fully asleep baby but I do think their little squished up face looks so sweet. And it always amazes me when baby stays in that position without our help. We began with a very awake baby and we finished with a very awake baby. But I think its great to be able to get both. 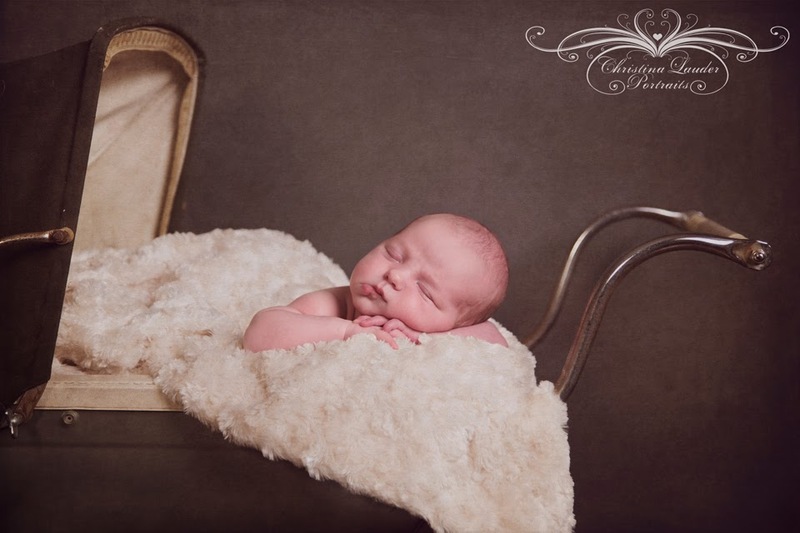 If you are expecting and would like to discuss a possible newborn portrait session get in touch and we can arrange a consultation. You can see what we offer and we can discuss more fully how these sessions work. There is no obligation to book but if you decide to go ahead with a session we can also work out the types of images you'd like from your session. Our number is 01455 611069 or visit our website at www.christinalauderportraits.com.